Apple Mail to Outlook Converter is an intuitive software which enables users to import Mac Mail to PST file format. This data file can be opened in any Mac or Windows Outlook version including MS Outlook 2016 & 2019. The software is capable to perform quick conversion of multiple Mac Mail messages into MS Outlook PST format. Users can easily import and open the resultant data file(s) in any version of Outlook without issue. This comprehensive solution is a standalone utility which doesn't even require any supportive email clients to perform its task. Data Integrity has always been an issue during any file conversion. And Apple Mail to Outlook Converter ensures that no changes are made to the email message content irrespective of the fact that how many emails are there to migrate. Even the email properties and header information are completely original before and after conversion. The software has been designed with such precision that it focuses on all important aspects of email migration. Thats why, even the entire structure of folders are maintained before and after the conversion process no matter how large the file is. The Mac Mail to PST transfer software is not limited to just one export option. It is a multipurpose utility that takes care of the most important migration task with export options including PST, EML, HTML & PDF format. The tool supports to save the emails as per proper naming conventions. This time-saving feature allows users to have their emails in a sequential order which is much easier to search and maintain. Supports all the Mac Operating Systems like Mac OSX 10.10 and 10.11 editions. Additionally, the software provides a feature to all users to filter out all Mac Mails according to a specific date range in particular duration. Demo version of Mac Mail to Outlook PST software is a freeware edition capable of exporting the first 25 emails per folder of the Apple Mail data file. How do I migrate Mac Mail to Outlook with this tool? 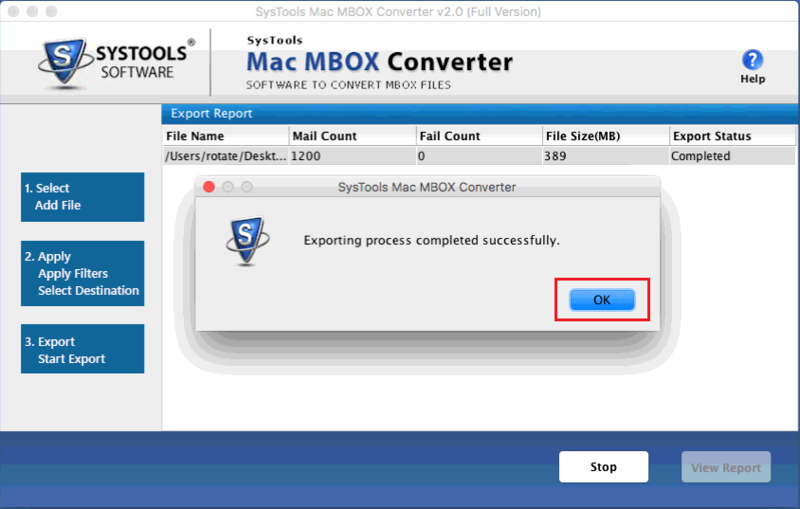 A dialog box message will confirm the process completion. How can I ensure if the tool is relevant for my task or not? Just download the freeware demo version and use it to check the tool's productivity by converting a limited amount of emails per folder(25 mail). Will I get any technical assistance in case of any glitches or confusion during email migration? Yes, we have a dedicated technical team that excels in solving any kind of queries you might have as well as supporting you through any encountered problems. I have data files of multiple Apple Mail accounts. Is the software feasible for bulk conversion of them all at the same time? 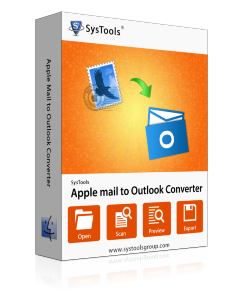 Yes, the Mac Mail to Outlook Converter provides feature to directly add multiple data files in batch as well as convert them all to Outlook PST in bulk in one go. Is there any way I can transfer and access my Apple Mail data in Windows Outlook? 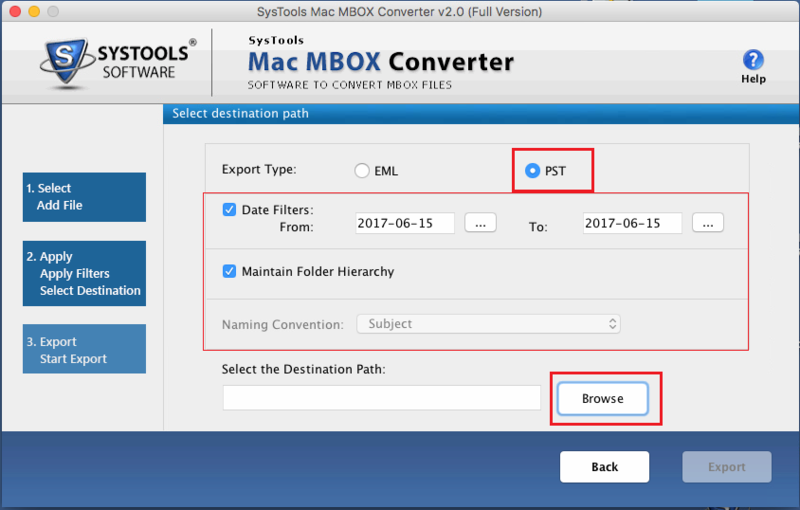 Yes, you can either perform the conversion on your Mac system with the help of this software and then open it in Windows Outlook by moving the resultant PST file(s) to Windows system. 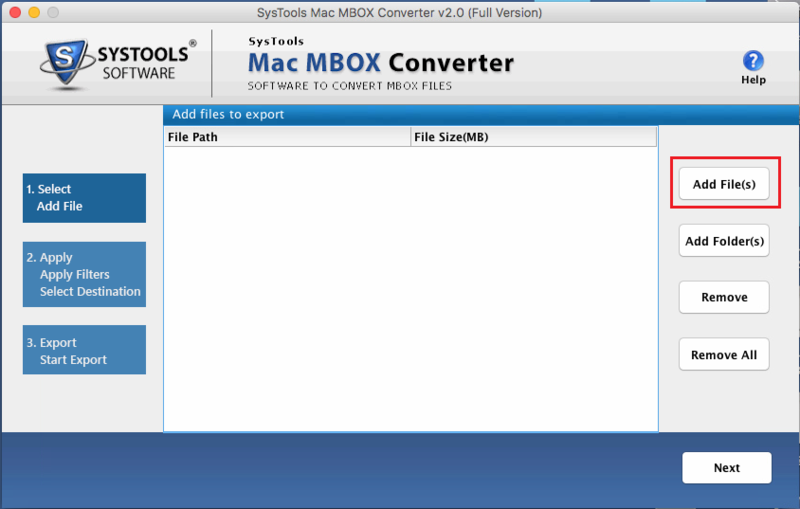 Or, you can opt for our MBOX file to Outlook converter software especially designed for Windows OS. Move your data files to Windows and perform the conversion right there. "GREAT software indeed! Saved a LOT of time for me and carried out conversion of around 6873+ emails from Mac Mail to PST file without any issue. Big help. Thank you so much."